Lalibela (13th-century ) is the most well known and marveled of all the Zagwe kings. 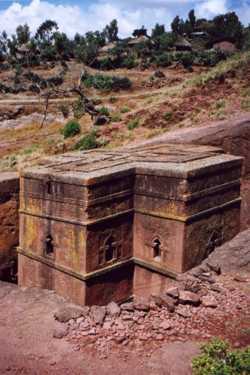 He is credited for building the eleven famous rock-hewn churches in his capital city, known originally as Roha but renamed as Lalibela after his death . Lalibela is a high place of Ethiopian Christianity, still today a place of pilmigrage and devotion.